"This is a major humanitarian emergency that is getting bigger by the hour," says Herve Verhoosel of the World Food Programme in the wake of the devastating effects of Cyclone Idai. Rapidly rising floodwaters have created "an inland ocean" in Mozambique endangering scores of thousands of families, as aid organizations scramble to rescue and provide food to survivors of Cyclone Idai. "This is a major humanitarian emergency that is getting bigger by the hour," said Herve Verhoosel of the World Food Programme on Tuesday. It hasn't stopped raining since Sunday. Help is beginning to arrive after cyclone Idai tore through Zimbabwe, causing landslides and collapsing homes. Soldiers are surveying the damage in the town of Chimanimani district, where roads have been cut off. 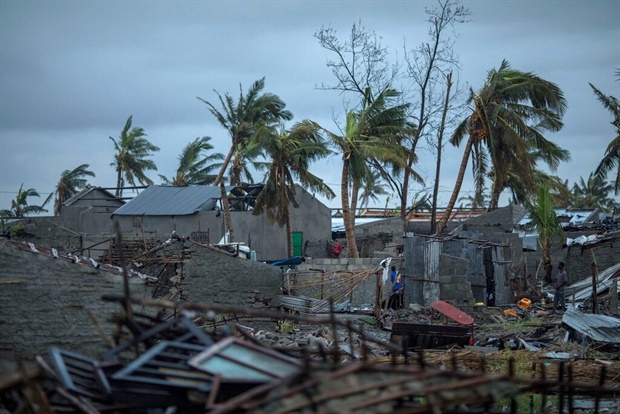 Government and People of #Pakistan extend heartfelt condolences to government and people of #Mozambique on the loss of precious lives in #CycloneIdai. We extend our full support and stand by our resilient Mozambique brothers and sisters in this difficult hour. UNICEF team has arrived on the ground to assess the needs of those affected by #cycloneidai. With partners & assistance from donors, we're on hand to support the Govt with an initial response focused around Child Protection; & WASH interventions. Following a tropical cyclone that tore through the eastern parts of Zimbabwe, the southern African country is weighing up the loss of life as well as the impact of the damage to infrastructure such as roads, bridges and business. According to a member of the Confederation of Zimbabwe Industry, Henry Nemaire, who is based in the affected Manicaland region, there has been extensive damage in terms of road infrastructure which has made some business operations such as plantations inaccessible. Most of Zimbabwe's plantations are in the Eastern Highlands region. Death tolls in Mozambique, Malawi and Zimbabwe continue to rise after Idai made landfall in Mozambique on Thursday. As news of tragedy spreads in the wake of Idai, South Africans bear their own tragedies after floods and heavy rainfall in Kwazulu-Natal claimed seven lives, with citizens and paramedics saying that they have not seen a storm of such severity in the region before. "Greenpeace Africa expresses its solidarity with those affected by tropical cyclone Idai. Extreme weather events confront us with with the reality of climate change, which is driven home with each addition to the death toll. "Following the inspiring march of hundreds of thousands of students worldwide demanding action against climate change, it is essential that this variety of solidarity and support is expressed to those affected. Rescue efforts in eastern Zimbabwe picked up pace on Tuesday in distressed areas from Cyclone Idai's trail of destruction, with nearly 100 people dead and hundreds missing. Almost 850 000 people – around half of whom are estimated to be children – have been affected by severe flooding in Malawi and Mozambique, with the numbers set to rise as Cyclone Idai moves west and the impact of the cyclone becomes clearer, Unicef warned today. The tropical cyclone, which is carrying heavy rains and winds of up to 170km/h made landfall at the port of Beira, Mozambique's fourth largest city, on Thursday night, leaving the 500 000 residents without power and communications lines down. 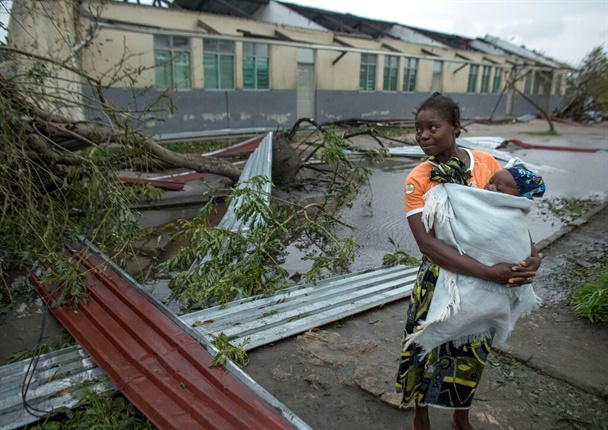 Across Mozambique, initial government figures estimate 600 000 people are affected of which 260 000 are children. "Hundreds of thousands of children have already seen their lives turned upside down by the devastating floods, and now Cyclone Idai has brought further suffering to families in its path," said Unicef Regional Director for Eastern and Southern Africa, Leila Pakkala. "Many children will have lost their homes, schools, hospitals and even friends and loved ones. Unicef is on the ground working in close coordination with respective governments and humanitarian partners from three countries to scale up our response and respond to the immediate needs of affected children and their families." The cyclone moved across Mozambique to Zimbabwe over the weekend. Nearly 1.6 million people are estimated to live in areas that could be impacted by high winds and rainfall. While the full extent of the cyclone's impact is not yet clear, it is likely to include damage to schools and health facilities; damage to water and sanitation infrastructure; impeding access to safe water for affected communities; thereby bringing a heightened risk of water-borne diseases, destruction of people's homes, and increased protection risks, particularly for women and children. Since early March, flooding caused by the Tropical Cyclone Idai weather system has affected more than one million people and caused at least 145 deaths. In Malawi, more than 922 900 people have been impacted in 14 affected districts – including an estimated 460 000 children – according to government figures, with 56 deaths and 577 injuries recorded. The approaching cyclone could complicate the humanitarian response, as access to vulnerable communities is already limited and could be further constrained by rising flood waters. With thousands forced out their flooded homes, many families lack basic supplies including food, water and sanitation facilities. The floods have also disrupted learning for thousands of children. In Zimbabwe, early estimates from government sources in Chimanimani District in Manicaland, put the numbers affected by the cyclone as approximately 1 600 households (8 000 people), with 23 deaths and 71 people reported missing. There are unofficial reports of children affected by flooding, mudslides and rock falls in Chimanimani. 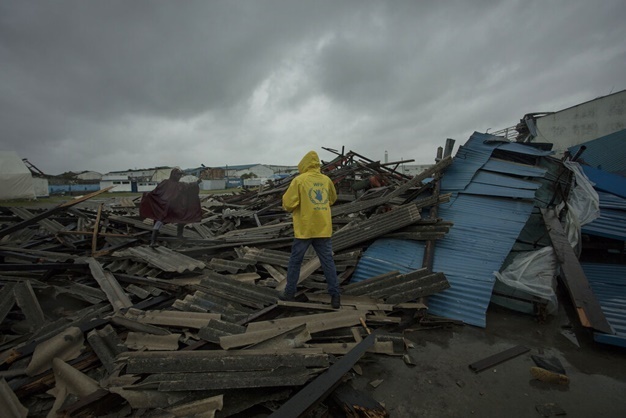 Unicef is working with partners to support the Governments of the affected countries to provide life-saving interventions to meet the needs of children and women impacted by the cyclone and floods. The response will include health, with a focus on cholera response and prevention; education, to minimise service disruption and enhancing safe access to schools; protection, catering particularly to the needs of internally displaced persons (IDPs); WASH, to ensure access to clean and safe water, increased use of sanitation facilities and hygiene promotion and; nutrition, focusing on preventing under five mortality attributable to malnutrition. Mozambique's President Filipe Nyusi says that more than 1 000 may have been killed by Cyclone Idai, which many say is the worst in more than 20 years. More than 1 000 are feared to have died in the cyclone after it smashed into Mozambique last week, while scores were also killed in neighbouring Zimbabwe. Speaking to Pretoria commuters during a campaign blitz on Monday, Ramaphosa said: "The next few days will be difficult. "The country is reeling over Eskom's stage 4 load shedding over the last three consecutive days.